Heading Back to the Land of Lincoln! Seriously…how cool is this?? Not only is my book one of six young adult books chosen to be promoted across the entire state of Illinois, but I get to hobnob with state and local officials next week. A host of them! Of course, I’m curious about who those folks will be. The governor, maybe? The mayor of Springfield? I’m excited to find out. 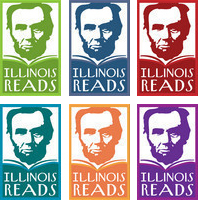 I wish to extend a public THANK YOU to Becky Anderson, of Anderson’s Bookshop http://www.andersonsbookshop.com in Naperville, Illinois, who has been a proponent of my book even before it was officially released, and no doubt brought it to the Illinois Reading Council. I also want to extend a public thank you to the city of Naperville…it was a wonderful place to live, and we were heartbroken to move away, back in 2000. It is still a place that is dear to my heart (as are the Naperville friends we so treasure!) No wonder the town found its way into my book, and the Illinois ties continue to enrich my life.